This year, as every year, we are celebrating the official Cinnamon Bun day. 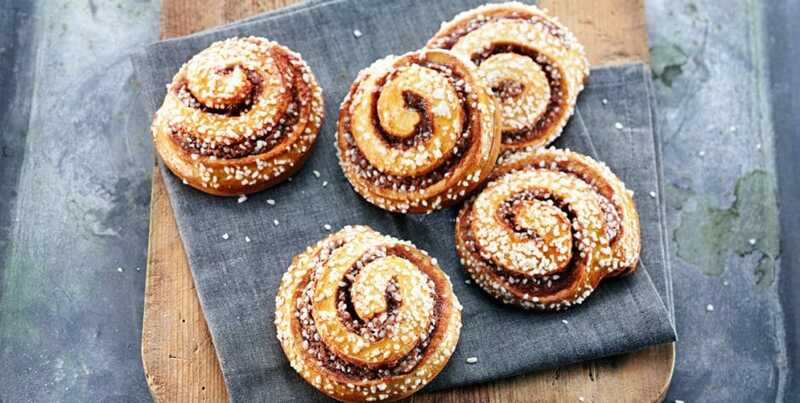 A national holiday in Sweden (not really, but it should be) – it falls every year on October the 4th and is celebrated by eating cinnamon buns en masse. For many Scandis, us included – every day is cinnamon bun day. There’s always a reason for a cinnamon bun. It is, as you may know, also referred to as an edible hug. No? Just us then. Because that’s how we feel about it. It is as comforting and warming as a hug from your best friend, a stranger or your dog. Whichever of those you prefer. 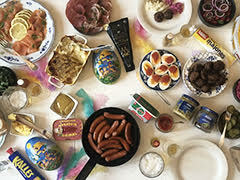 As Scandinavians we feel it is our duty to educate those less knowledgeable about this harmonic symbiosis of flour, butter, sugar and cinnamon. This is lesson 1, based on our post from last year (read it here) – we’ll keep it simple. The cinnamon bun’s origin is a hotly debated topic. The Swedes claim it originated there in the 1920s. Usually, we won’t shy away from a debate, but in this case – it doesn’t matter where it is from. We love it too much. It is a love-child of Scandinavia. Cinnamon bun day has been celebrated since 1999, and the bun itself didn’t really become popular until the 1950s. 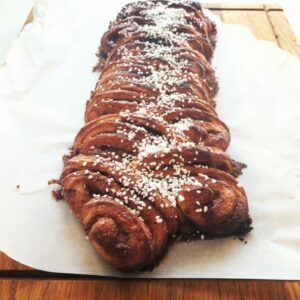 A Nordic cinnamon bun is typically made with a bit of ground cardamom in the dough – this is what differentiates it from other cinnamon buns, such as the over-the-top sticky sweet buns you often see in north America. A real cinnamon bun (a Scandi one) does not have icing on the top. 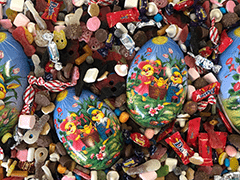 In Norway, a sprinkle of normal granulated sugar – in Sweden those lovely big-ish sugar crystals called Pearl Sugar. 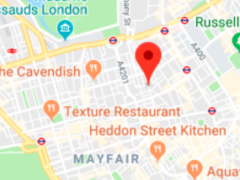 A typical Swede eats 316 cinnamon buns per year – in our central London cafe we sell about 60 cinnamon buns per day (and we all smell faintly of cinnamon..mm!). That is roughly 21600 per year. Or, you can bake a really really long one to share. In Norway (and highly likely elsewhere in Scandinavia too) there are various very important cinnamon bun competitions held every year, where readers of the local newspaper nominate and vote for the best cinnamon bun in town. It is prestigious and competitive, and taken very, very serious. 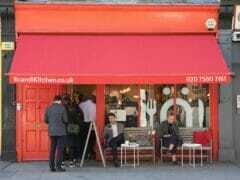 The same place refers to its cinnamon buns as Skillingsboller – ‘schilling buns’ – referring to the cost of one back in the day. In Denmark, they are often called ‘cinnamon snails’ – Kanelsnegl’, and in Finland, ‘slapped ear’ – Korvapuusti. Maybe because if someone did slap your ear, a cinnamon bun would be a suitable treat to comfort you in your pain and distress. Cinnamon buns are made a variety of different ways. You can swirl them and pop them into a little paper case to keep all the buttery sugary gooeyness; do a simple swirl and bake, cut side up, or do a thinner swirl baked cut sides out. We love them all. The cinnamon bun is perfect – it doesn’t need meddling with. 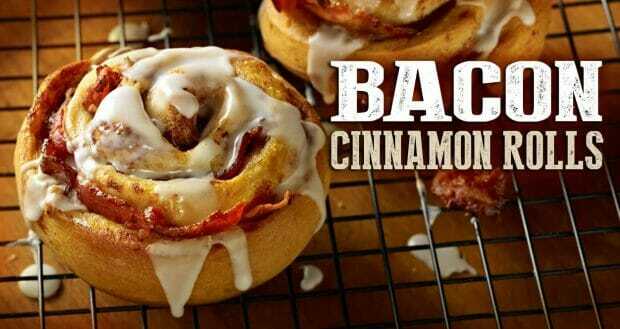 Still, some people make things as the below – a bacon cinnamon bun roll sandwich. Proceed at your own responsibility; we take no responsibility for whatever may come from consuming this (delicious?) concoction. There are two kinds of cinnamon; Ceylon and Cassia. Ceylon is also referred to as sweet cinnamon – or true cinnamon and is the most popular one. It is a bit more expensive than the other, but the taste is miles better. Get it if you can – otherwise your buns won’t be as good. ‘Cinnamon buns can damage your liver’But fear not – you would have to eat approximately 10 cinnamon buns per day for an extended period of time to notice anything. It is Scandifically proven that it is impossible to resist a fresh cinnamon bun still warm from the oven. Try it. Sprinkle with almonds for a nutty taste..mmmm! 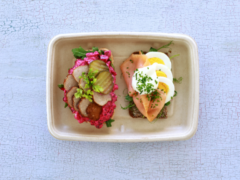 Enjoy Bun Day on the 4th October – we want to see your buns, so don’t forget to send us a picture to iloveherring@scandikitchen.co.uk and we’ll post the best ones on facebook and instagram. Prizes for the best looking buns. Fancy making your own? Check out our recipe for the world’s best cinnamon buns and head to our webshop to buy our cinnamon bun baking kit, containing the essential ingredients you need for a Scandi cinnamon bun. Like this post? Share it on Facebook to spread the cinnamon-bun-love – button below.